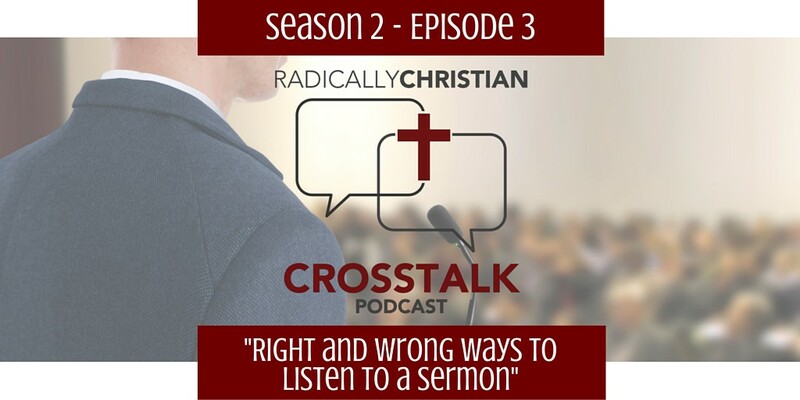 In this episode of the CrossTalk podcast, Wes, Sam, and James discuss some right and wrong ways to listen to sermons and Bible classes. It’s easy to develop some unhealthy habits in this area of our lives. What are your goals when you attend a Bible class or listen to a sermon? Do you listen in a way that is glorifying to God? We hope this discussion is edifying to you. If you enjoyed this discussion, be sure to subscribe on iTunes or your preferred podcast player and we would really appreciate your rating and review.